Looking at a forecast that includes several days of 60 degree weather, in March, in Minnesota — well, it’s hard not to be thinking about seed starting. But hold off — this too may pass and, in fact, I’m hoping it does. A very early spring can wreck havoc on Minnesota’s outdoor plants as we found out in 2012 when an unreasonably warm March caused fruit trees and other plants to start acting like it was spring only to get zapped by a nasty freeze in April. 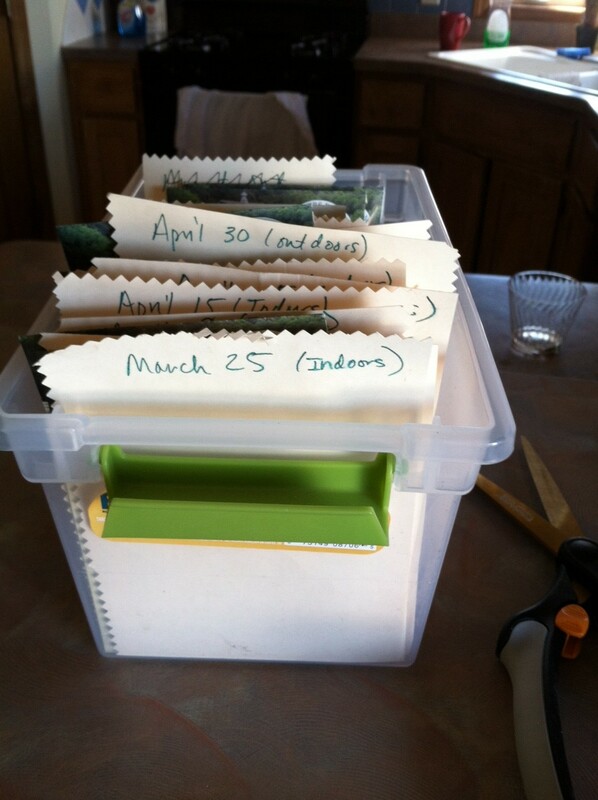 I organize seeds by whether I’m starting them indoors or out and on which day. So, while this weather is tempting, stay off the grass and out of your gardens to avoid compacting the thawing earth, and think about indoor seed starting instead. 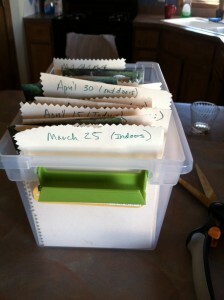 I’m getting ready to start seeds in the next couple of weeks. I’ve checked my light set up to make sure it’s still working and organized my seed box so I know when to start what. This year I’ll be starting a few more annual flowers than I have in the past. I find the home-started annuals do just as well as those I’ve bought as starts and there is a big savings on costs. 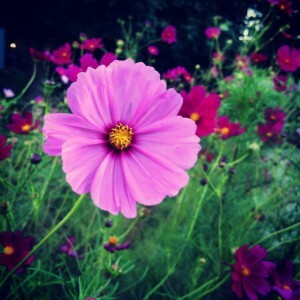 This is not a cosmos I started from seed, or grew at all, but isn’t it pretty? Most of them can be started about the same time as many of your vegetables. Here’s a typical schedule for starting annuals. The “last frost” date in Minnesota is typically in early to mid-May, so I use May 15 to be on the safe side. This year, I’ll be starting baby’s breath, violas, cosmos, sunflowers, marigolds and salvias, in addition to a fair number of vegetables. What plants will you be starting from seed this year? John — If you want to start them indoors, now would be a good time. If you prefer to seed them directly in the garden (either way you’ll get flowers), I’d hold off until mid-May or so. Generally, it’s recommended they be direct seeded after the last frost date.